Clouds seem like the sky's narrative documentary. 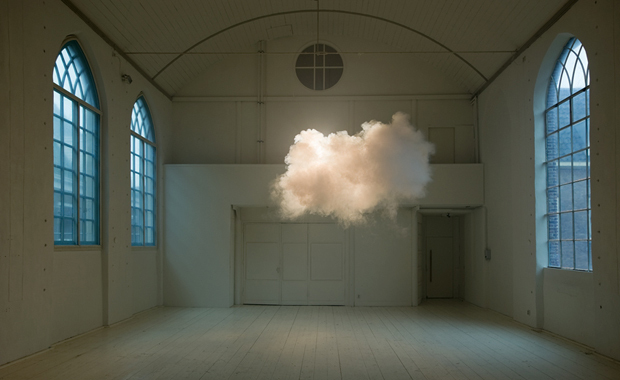 And like the media that is always streaming in the other room, clouds are occasionally observed or mostly ignored. Cloud formations drift across our frame of reference to portend the future, and to color our range of disposition from the melancholic, to the ominous, to the glorious. and the most egalitarian of her displays, since everyone can have a fantastic view of them. Clouds pass over us mostly unnoticed. Often they appear as random masses of water vapor, but are sometimes well-ordered. Sometimes we perceive them as recognizable shapes and identifiable objects. It's human nature to look for the recognizable in randomness. Aren't the clouds beautiful? They look like big balls of cotton. I could just lie here all day and watch them drift by. If you use your imagination, you can see lots of things in the cloud's formations. A Morning Glory cloud is a well-ordered, horizontal cloud formation known as a roll cloud. Morning Glories have been observed around the world, but patient observers might see a few, particularly from the air, in the geographic region near Burketown, Australia from late September to early November. The Morning Glory is often accompanied by sudden wind squalls, intense low-level wind shear, a rapid increase in the vertical displacement of air parcels, and a sharp pressure jump at the surface. In the front of the cloud, there is strong vertical motion that transports air up through the cloud and creates the rolling appearance, while the air in the middle and rear of the cloud becomes turbulent and sinks. Shelf clouds are also well-ordered, horizontal cloud formations known as arcus clouds. Shelf clouds are associated with the leading edge of thunderstorm outflow. Shelf cloud over Wagga Wagga, Australia. The well-ordered in nature delights us. Humans seem predisposed to find comfort in well-ordered, recognizable, and predicable phenomena. We are accustomed to Nature's apparent randomness. Seeking and discovering patterns in Nature is an unbounded curiosity offering solace to the curious. The Cloudspotter's Guide: The Science, History, and Culture of Clouds by Gavin Pretor-Pinney. Manifesto of The Cloud Appreciation Society.